We would like to invite all our friends to the International Submariners Meeting in St.Petersburg which is devoted to the 100th Anniversary of the Russian submarine forces. 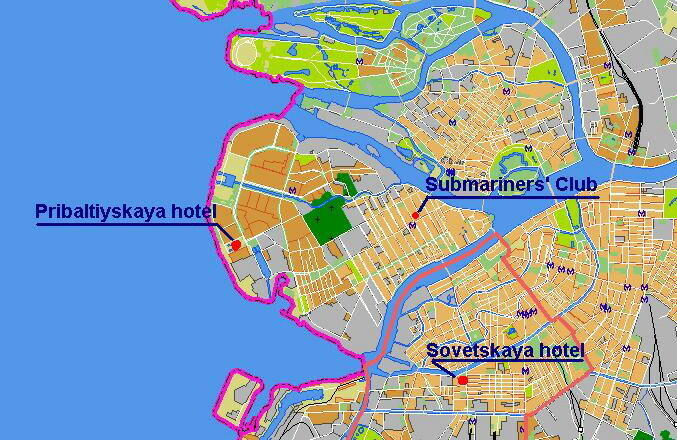 The Meeting will be held under the aegis of the St.Petersburg Submariners Club in Saint-Petersburg from May 26 till May 28. The International Submariners Meeting is agreed with the 43rd ISA Convention, 2006 in Moscow (May 22-25) and is in fact it's continuation. 12 a.m. - 4 p.m. Arrival to St.Petersburg, transfer to the hotel, accommodation. Sea trip from St.Petersburg to Kronshtadt fortress and naval base, seeing of the Kronshtadt forts. Lunch. Wreath laying ceremony into waters of the Big Roadstead of Kronshtadt from a Russian Navy submarine. Sightseeing of the town of Kronshtadt, visit to the Kronshtadt naval cemetery, wreath laying ceremony to the monument of the Soviet and German seamen perished during WWII. Transfer to the hotel by buses. 12 :30 a.m.- 1 a.m.
Trip to the Pushkin (Tzarskoye Selo or Tzar Village). Visit to the Catherine the Great Palace (where the amber room is situated). Visit to the cruiser Aurora. Meeting with Russian submarine veterans. Light banquet. Boat trip down the Neva river. Diner on board of the boat. Visit to the St. Seraphim Memorial Cemetery where the Kursk memorial is situated. Wreath laying ceremony to the tombs of the Kursk crew. Service in the St. Nicholas Naval Cathedral. Lunch in the Cathedral's refectory. Gala dinner in the Pribaltiyskaya hotel restaurant. We plan to arrange some additional sightseeing and excursions including Hermitage, Summer Palace, Naval Museum etc. for those who will departure St.Petersburg later than on May 29. The additional program is based on individual schedules and is not included in the cost of the general program. The ticket price to the museums is approx. $10. The cost of the program is $300 per person, including all the excursions, meal and transfer in the city. standart/improoved double room - $140/150 ($70/75 per person) for night. Please take note, that in accordance with the hotel rules some additional payment of 50% of daily price is charged for checking in the hotel before 3 p.m. local time. standart / improoved double room - $95 ($47,5 per person)) for night. standart / improoved double room - $95/115 ($47,5/57,5 per person) for night. 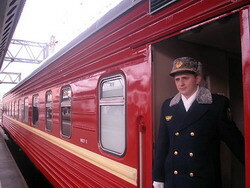 Club will arrange the transfer from Moscow to St. Petersburg by a train. The cost of the transfer will be based on the number of participants and participants' requests. Visa information: If you're going to attend both Moscow and St.Petersburg events you need no special invitation from St.Petersburg but you should mention the trip to St.Petersburg in your Visa information. If you're going to attend only St.Petersburg program you should ask us for invitation and we'll send it to you. 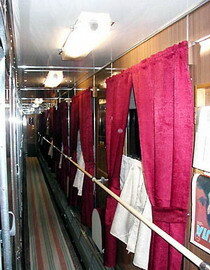 The train cost $122 - $135 (with breakfast) per person for the first class private compartment (2 persons compartment) and $66-85 (with breakfast) for the second class compartment per person (4 persons compartment). The train has the sleepers. You will be able to sleep about 7 hours in the train. Keep abreast with the site for more details.